First impressions are everything. If you’re looking for a simple way to add curb appeal to your home, gable decorations are the way to go. 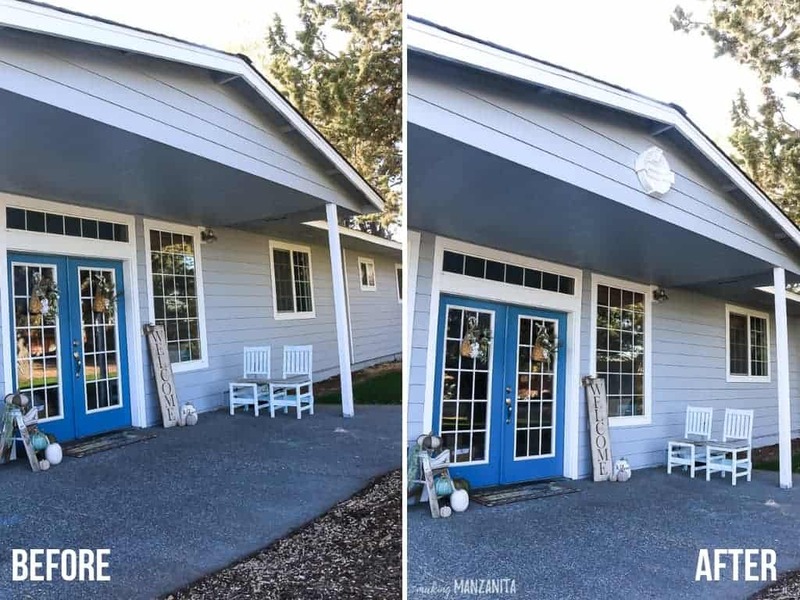 This post details the step by step tutorial for how to install gable decorations like this decorative louver. 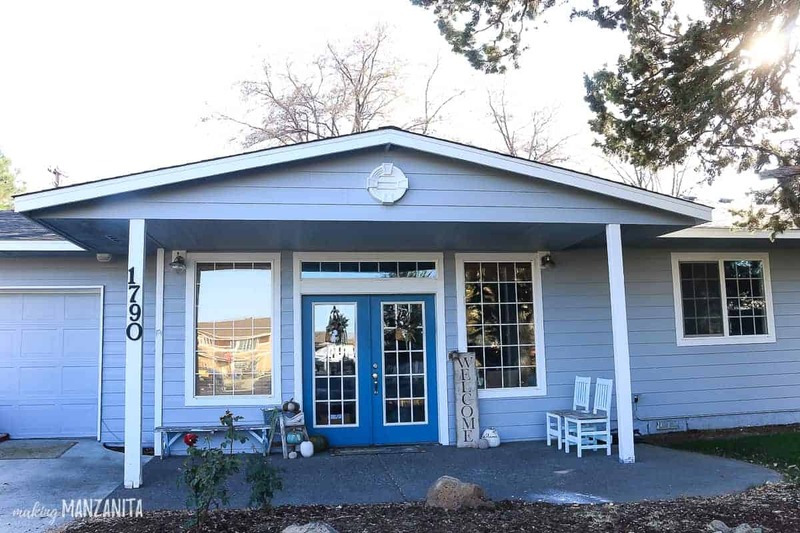 Thanks to Fypon for sponsoring this exterior home design post! All opinions are entirely my own. Read my full disclosure here. 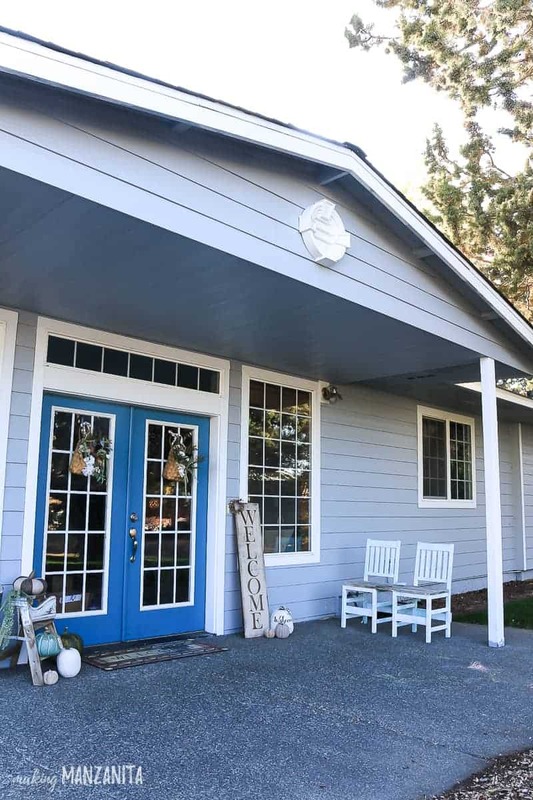 Last week, I shared with you some great ways to enhance your exterior home design and mentioned that we were planning to install a louver on the front of our home as a gable decoration. Today I’m sharing with you the step by step tutorial for how to install gable decorations. 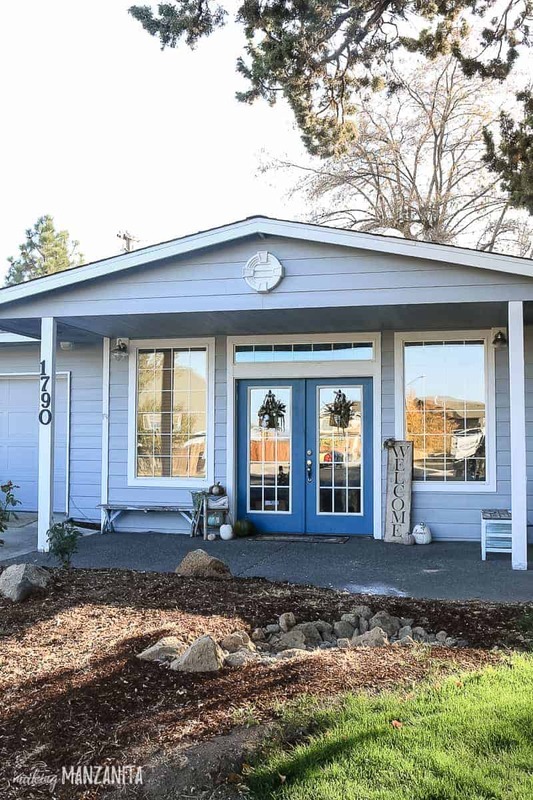 When I heard about Fypon products, I knew it would be an easy way to add some curb appeal to the boring front facade of our home. Turns out it was easier than I imagined. I was shocked how easy it was to add this louver to the front of our house. We did it while our toddler was napping and only took us about 30 minutes from start to finish. The decorative louver that we chose for our gable decorations is low maintenance and will be resistant to moisture (no cracking or warping) and insects. I love that it was ready to hang and easy to paint if you wanted to. 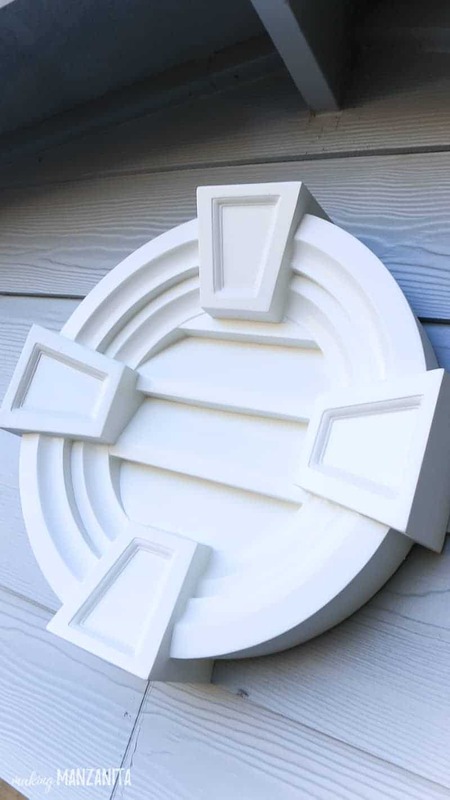 The gable decorations from Fypon are made out of polyurethane, but it definitely has the appearance of a finished “real wood” product without the hassle. 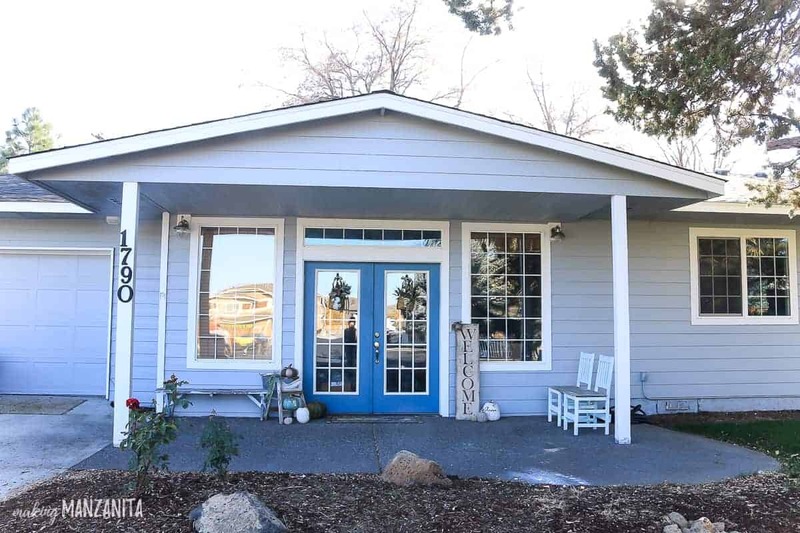 As I shared last week, here’s the best picture of the front of our house…. Nothing to write home about, right? Pretty boring. Are you ready to see just how easy it was install gable decorations?? 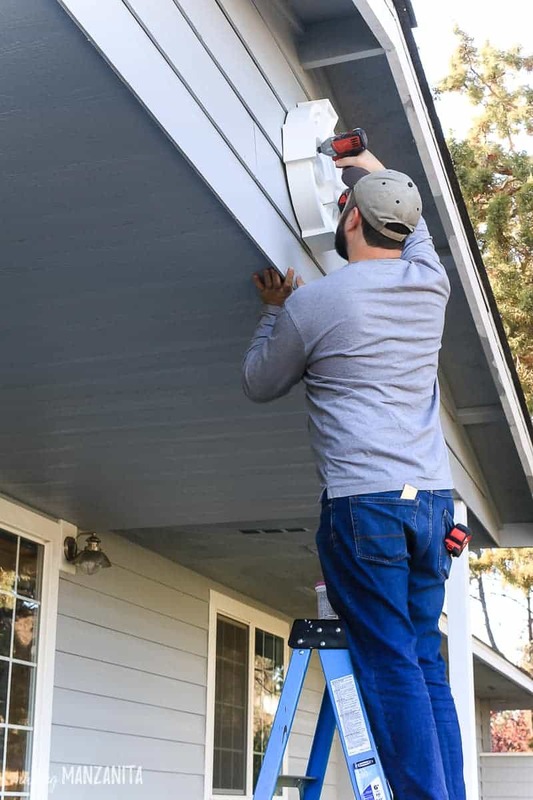 White gutter touch up paint – but any white spray paint or exterior paint could work! Decide on size and look of your gable decorations. First things first, you need to decide on the size and design of your gable decorations of course so you can get them ordered. You can find a local Fypon dealer here or there are a number of online retailers as well. Our gable isn’t that large, so we knew we needed a louver that was on the smaller side. Scale is very important, so keep that in mind when shopping for your gable decorations. We went with a 16” round louver and I think it is the perfect fit. 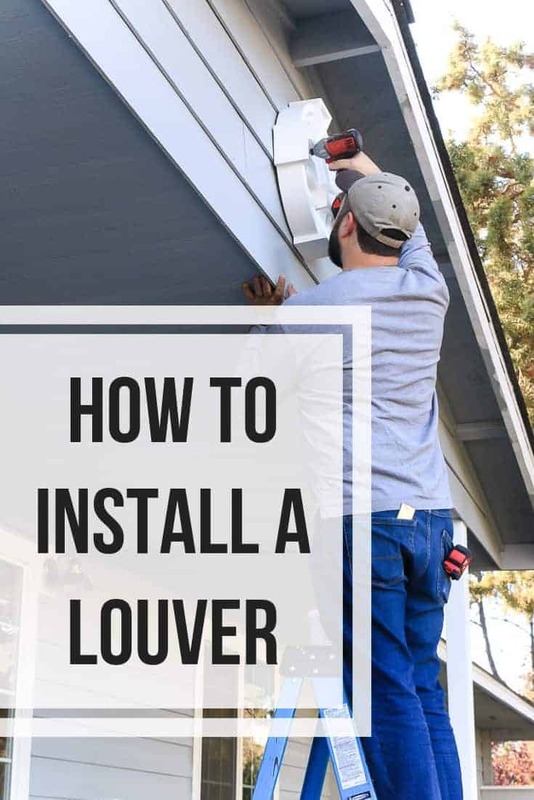 You definitely want to make sure that you install the louver in the center of your gable. Grab your tape measure and find the center and mark accordingly. Screw in louver with construction screws. We used 2 1/2” construction screws (one each at the top and bottom) to attach the gable decorations to our home. They were the perfect size to reach all the way through the louver and into our siding. There was no need to drill holes before adding the screws because it is not like the polyurethane would split! Optional – You could also opt to attach to decorative louver with construction adhesive, but we felt it wasn’t necessary. After adding the screws, you’re left with black holes that need some help. We covered these by simply adding a little bit of spackling. Once dry, you can sand smooth. We thought the spackling would be perfect because it dries white, but it was a slightly different shade of white so we decided to even out the colors by spraying on touch up paint. 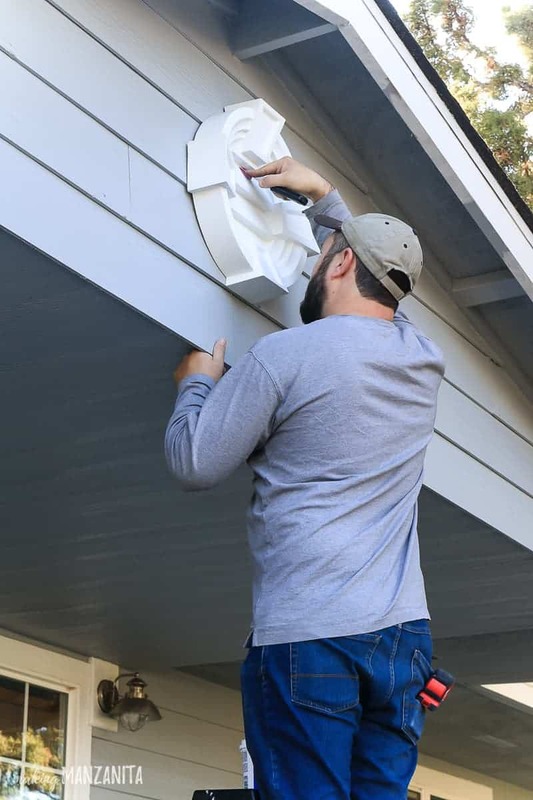 We had some white gutter touch up paint already on hand and it worked perfectly. While spraying the louver, we just help a scrap piece of cardboard to protect the siding from over spray. 30 minutes from beginning to end…these gable decorations are just so darn easy! 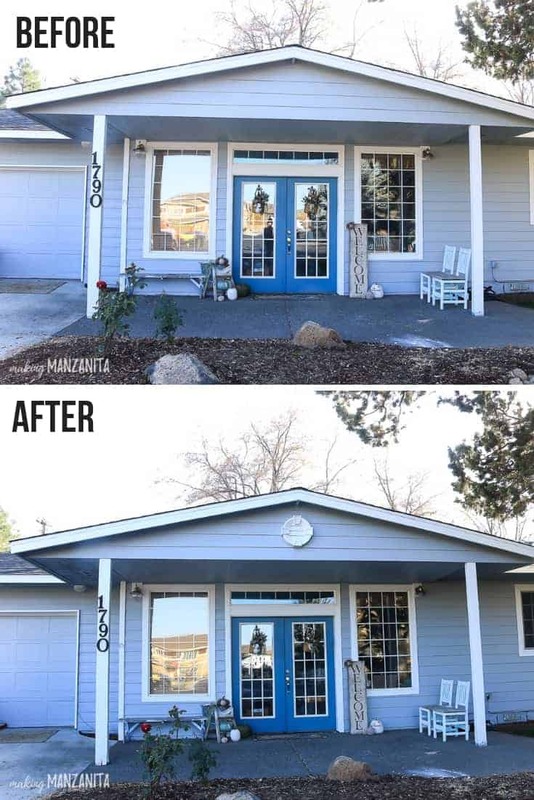 When you’re done, you can step back and smile at your new and improved home entry. I’m loving the way our new louver looks in our gable. It adds so much character to the front of our home. 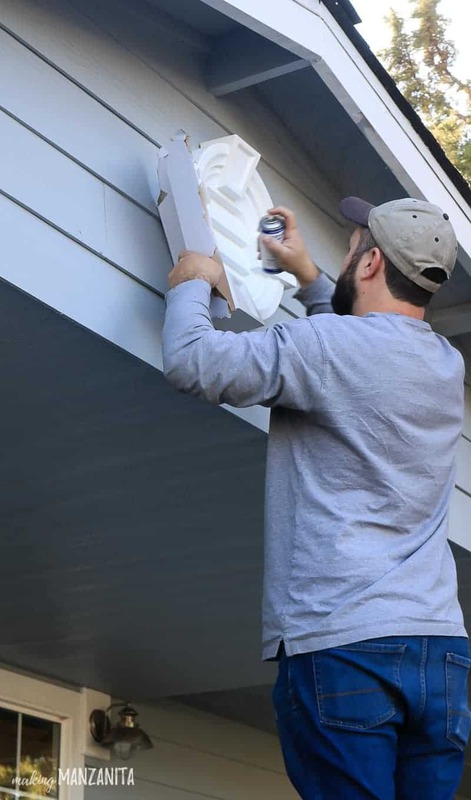 These gable decorations were so easy to install, even a beginning DIYer could do it. Let’s take a look at those before and afters, shall we? What kind of gable decorations would you want to install at your house?